Both my parents were competitive figure skater with my dad competing in the 1980 Winter olympics so I was destined to be on the ice. I played football (soccer) and ice hockey until the age of 16 until I concentrated solely on ice hockey playing for the national team until age 19 when I focused on my degree. I put on a lot of weight in college and wasn’t particularly happy so when I moved back to London I started working out, not lifting but tons of cardio….cycling and running. I cut down a lot and decided it was time to add some muscle so started slowly lifting more weights. When I moved to America a friend said I should try CrossFit so called the local gym in Milwaukee and haven’t looked back. I was immediately hooked, I love the competitive nature and ever changing workouts along with trying to master new skills. The gym ran a new year paleo challenge soon after I joined which challenged us to eat 100% paleo for a complete month. It was life changing and massively changed the way I eat and see food. One of the things I genuinely love about CrossFit is the community aspect. I’ve moved a lot over the last few years and without CrossFit it would have been a much more lonely experience. 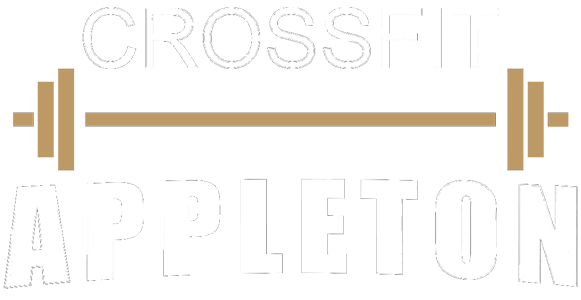 Thanks to CrossFit my wife and I already feel a part of the community here in Appleton and I’ve made friendships already that I know will last a lifetime. I love the community of CrossFit Appleton and seeing people achieve goals they never thought possible a few months prior. Everyone is always there to support and help each other no matter their skill level. Pushing myself to get outside of my comfort zone. Before CrossFit I never failed at a lift, which I soon realized it was because I was playing it safe. In terms of current goals, Id like to get stronger and improve my Oly lifting. Whether I smarten up and take the time to improve on my current PR’s is another story. I also want to improve my leg strength and improve my squatting. People may not know that despite my strong American accent I was born and raised in England (NOT WALES). I’ve also never burped! !